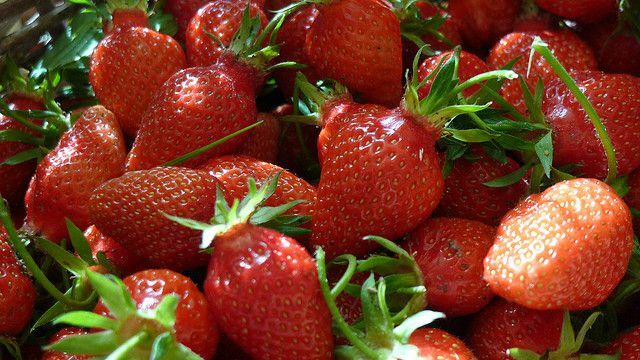 The garden strawberry is an early variety of strawberry that is very popular in France. Created during the 1970s by researchers at the Avignon INRA (a national agricultural research institute in France) as a cross between the Belrubi and Favette varieties, it quickly won the hearts of the French, due to its particularly fragrant, juicy and tangy flesh. The garden strawberry is reddish orange in colour and has an elongated shape. This fruit is harvested from May onwards, and can thus compete with varieties found further South, in Spain or Italy.